Laken Miller’s 10 points and 7 rebounds helped contribute to the Bears’ balance scoring efforts in their home win over UVI on Saturday. 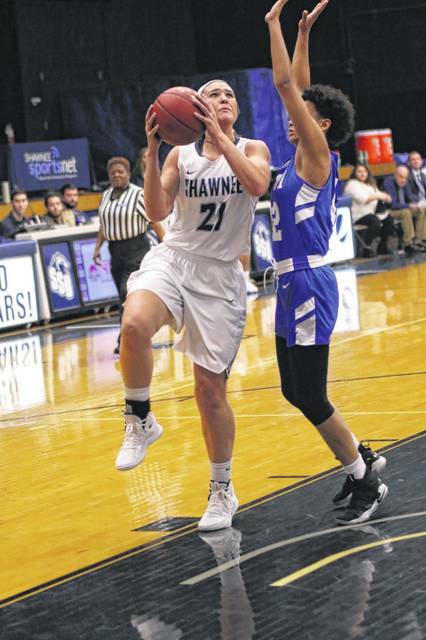 Shawnee State senior Ashton Lovely had a team high 21 points in the Bears win over UVI 82-52 Saturday afternoon. PORTSMOUTH – That sound you just heard was another made three for the SSU women. The 7th ranked Bears were on a heater Saturday afternoon in ‘The Cave’ just a day after their loss to 15th ranked Talladega (Ala.) on Friday night. 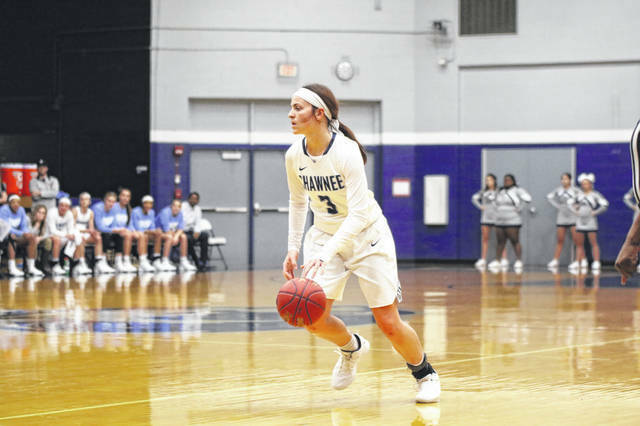 The Jeff Nickel led Shawnee women’s team hit 9/21 three’s en route to an 82-52 win over the University of the Virgin Islands in the final game of the two day Penn Station Classic hosted by Shawnee State University. The balance is something that was key for Nickel’s group coming into Saturday’s game, and that balance paid off in a big way against UVI. Out of the 11 players on the Bear’s roster, 10 of them found their way into the scoring column for a very balanced effort. Nickel is right. Along with the Bears’ excellent day from behind the arc, his team had a very good day on the defensive end by not allowing UVI to score more than 12 points in three of the four quarters Saturday afternoon. For comparison’s sake, the Bears scored at least 17 in each of the four quarters, including a game high 26 points in the third quarter. As Nickel mentioned, the Bears held a ten point lead at the half time break, but really busted things open in the third quarter, outscoring UVI 26-12 coming out of the locker room which helped supplant their 30 point home win. Lovely had a team high 21 points as well as dishing out 6 assists, and not far behind was Shania Massie with 15 points and 6 rebounds. Sienna King had a very solid overall game with 12 points 7 rebounds and 2 blocks, as well as Laken Smith’s efforts off the bench to contribute 10 points and 7 rebounds. Moving forward, the women’s team will travel to the Caribbean where they will take part in the Porta Del Sol Shootout in Rincon, Puerto Rico for the second straight season. Nickel is hoping to take some of the positives from their most recent games into next weekend where he expects to find some stiff competition for his team to face. UVI: 18/62 FGs, 7/27 3pts., (Hatfield 4) 9/13 FTs.